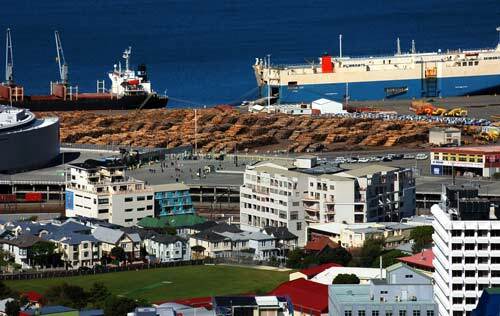 These logs, at CentrePort, Wellington, are waiting to be shipped overseas. High volumes of radiata logs are exported each year, mainly to China and South Korea. Between June 2006 and June 2007, 6.3 million cubic metres were exported.